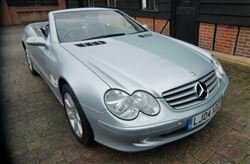 We are delighted to offer this desirable 4 seater Mercedes 350SL with the excellent 3500cc V8 engine and automatic gearbox, having covered a recorded 82,900 miles. 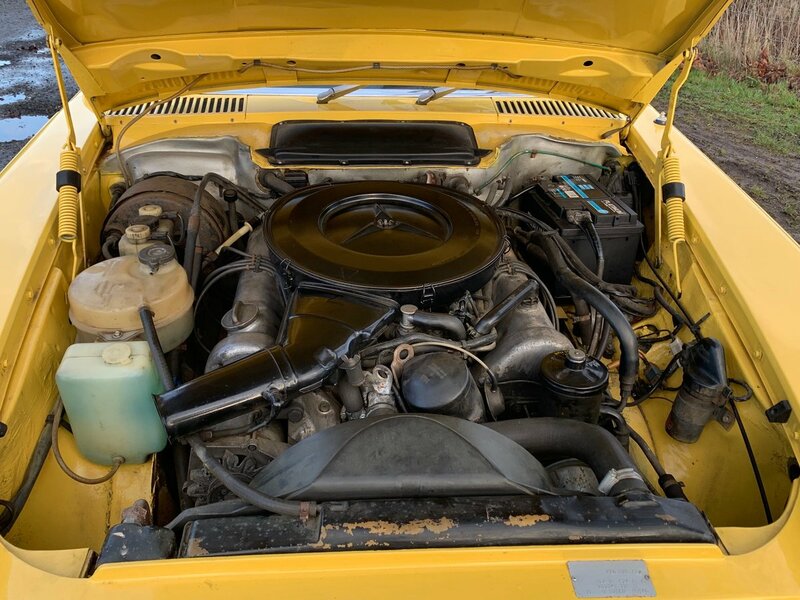 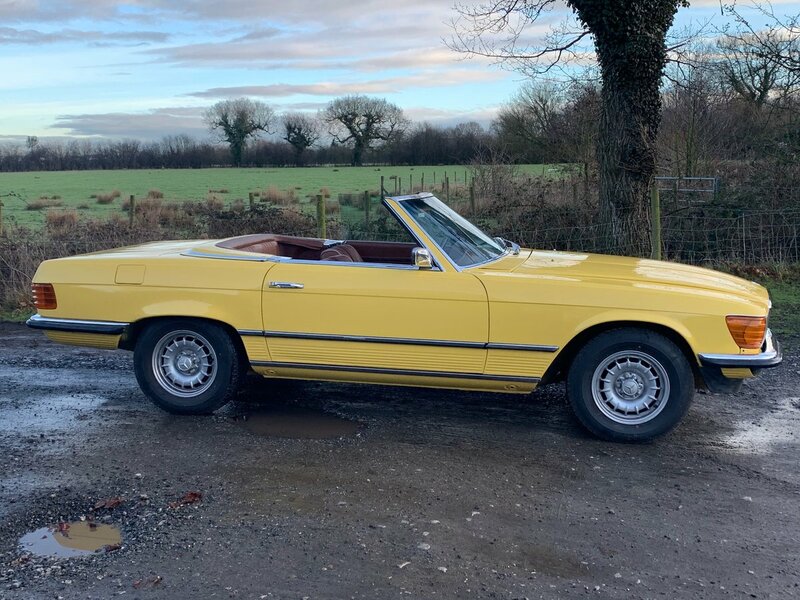 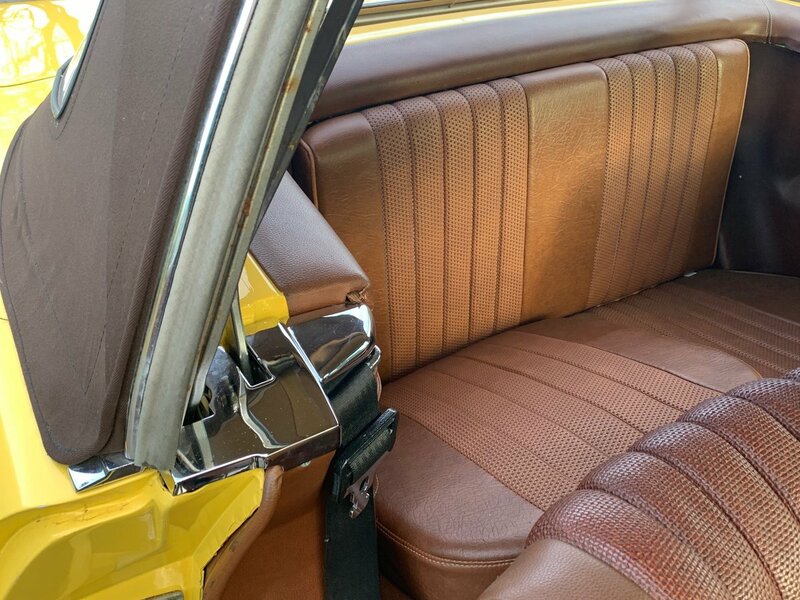 An unusually good example of the sought after and rare 4 seater, finished in unmarked yellow with tobacco brown interior, new brown hood and 'Mexican Hat' wheels. 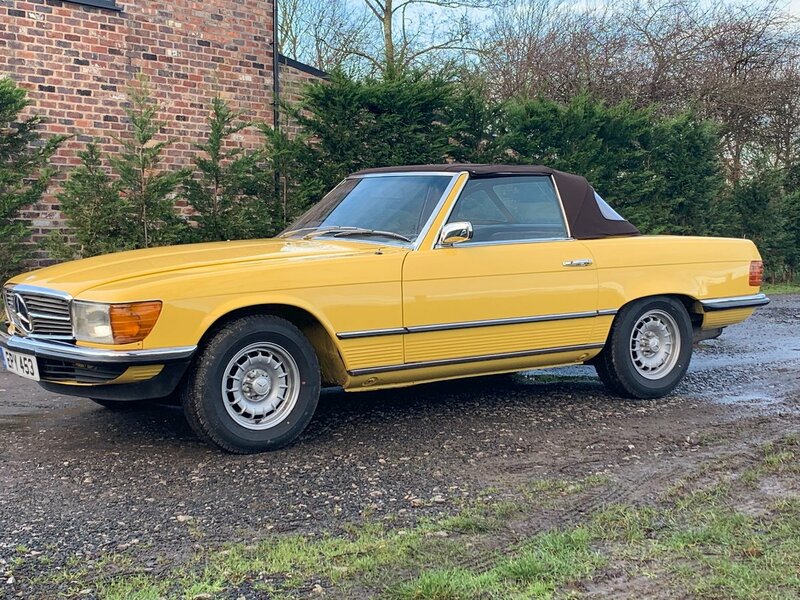 Restored and maintained by Mercedes main dealers and classic Mercedes specialists. 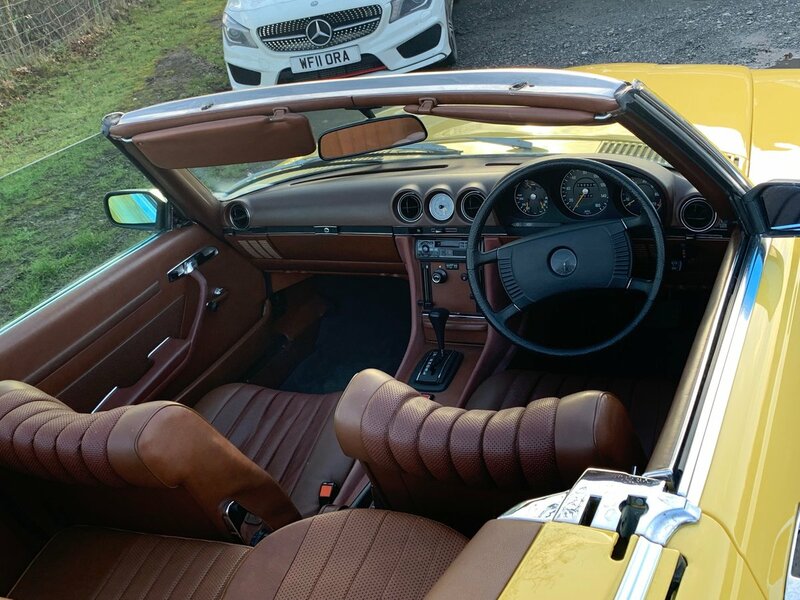 The car has a great history file including original Owners Manuals and Maintenance Booklet and has benefitted from a well documented and recorded restoration to an excellent standard. 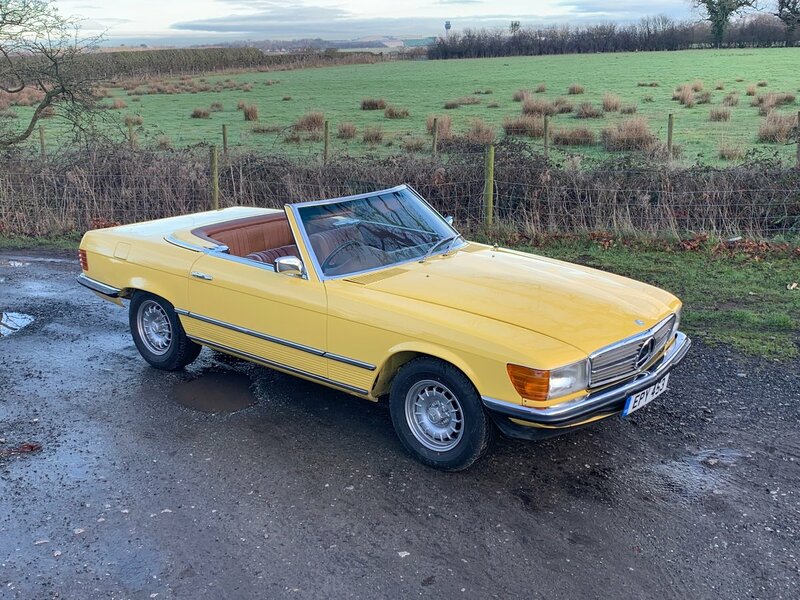 Serviced in February 2019: she looks, runs and drives superbly - a beautiful example of this iconic and practical classic car. 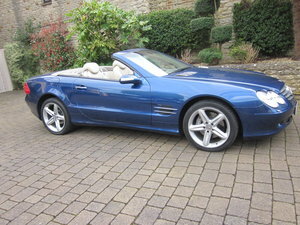 Private Registration Plate is included in the sale. 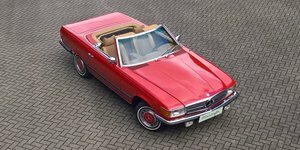 The 3rd Generation of the 'Super Light' , R107 & C107, was produced from 1971 to 1989, the 350SL is typically considered to have handling advantages over it's larger engined 4.2 - 5.6 litre counterparts, whilst still enjoying a tremendous 3.5 litre V8 engine.